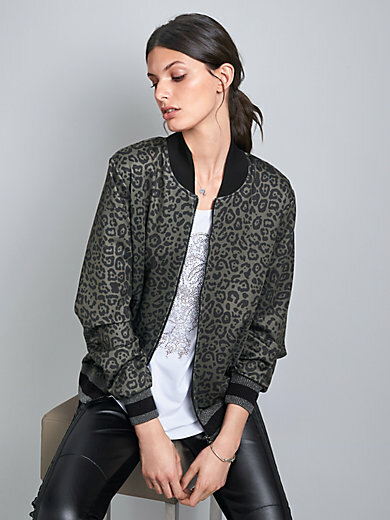 Bomber jacket by Margittes: quite unmissable with its hip leopard print and decorative lettering on the back. In the latest bomber jacket style with ribbed cuffs – with glitter stripes on the hem and sleeves. 2 diagonally cut pockets with welt. 97% polyester, 3% elastane. Lining 97% polyester, 3% elastane. Length approx. 25ins.